Customers buy this product with the StayDry Bariatric Briefs - 78" to 95"
Eachproduct creates a moist environment to encourage wounds to heal. Exuderm LP Hydrocolloid Low profile (LP) Exuderm conforms to difficultbody contours to protect superficial, minimally exudating wounds. Smooth outer surface helps protect skin from shear and friction. 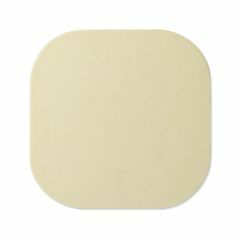 AllegroMedical.com presents The Exuderm Thin Hydrocolloid. Medline has developed Exuderm, a range of sterile hydrocolloid wound dressings designed for all stages of wounds. Eachproduct creates a moist environment to encourage wounds to heal. Exuderm LP Hydrocolloid Low profile (LP) Exuderm conforms to difficultbody contours to protect superficial, minimally exudating wounds. Smooth outer surface helps protect skin from shear and friction.